The beauty essential that will change the way you drink water forever. 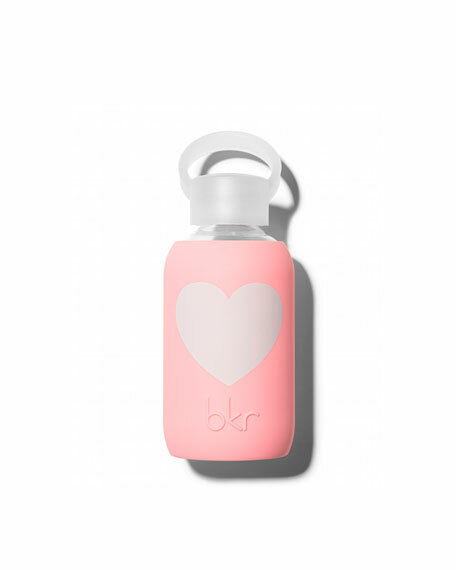 A staple at fashion week and loved by A-list celebrities the world over, bkr has gained a dedicated following earning its reputation as the beauty must-have. Taking cues from runway trends, the founders release seasonal collections of glass water bottles with soft silicone sleeves that are high-end, limited edition and chemical-free. Inspired by all things glowing and glamorous and by the belief that the objects in your life should be loved, bkr gives a much-needed refresh to the imperative eight glasses of water a day. Holds 250 mL/ 8.4 fl. oz. For in-store inquiries, use sku #1693435.